Sometime back Maria and I were talking about how excited we were when we got our first OPI polish and since we still own it we decided to do a mani using it. Mine is Happy Anniversary!!!! Why did I did pick this polish amongst all the pretty little colors on the display, well the shimmer got my attention, it look sooooo pretty under the lights at ULTA. I'm thinking this was meant to be a layering polish, it is extremely sheer this is 4 coats! There you have it, my first OPI! Do you guys remember your first OPI? 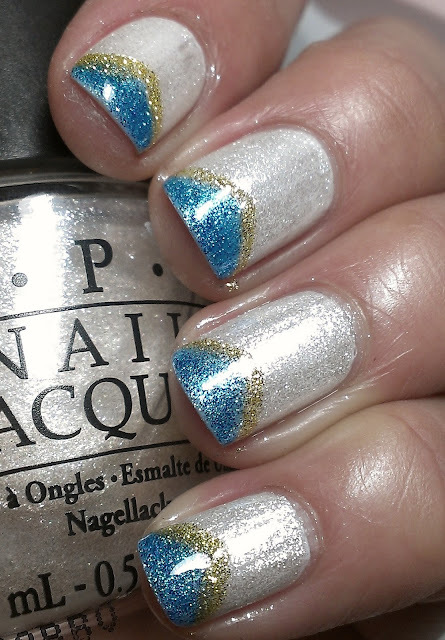 Don't forget to check out my twins post at Nails Made Simple! 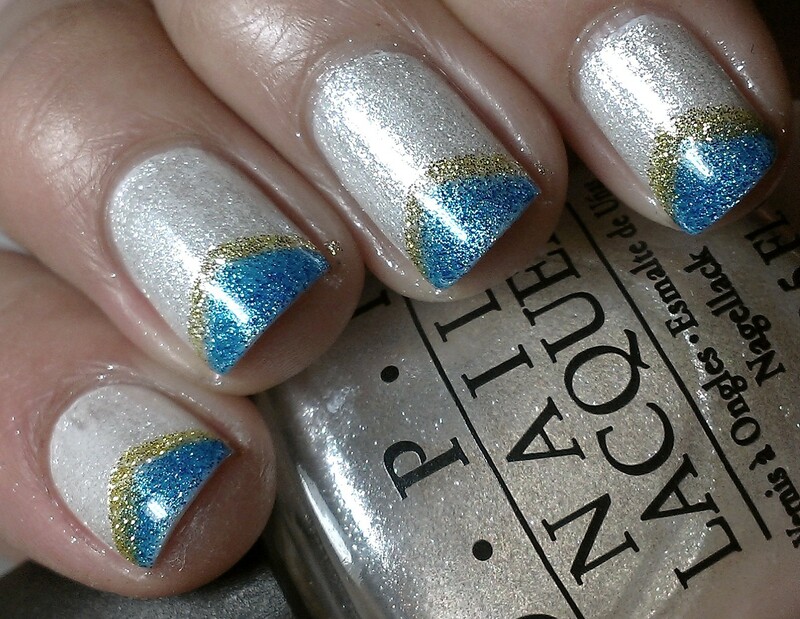 I love, love, love those tips, it's a prefect color combination, very stylish too!! the first thing that came to my mind is Egyptian.. why? dont ask me! 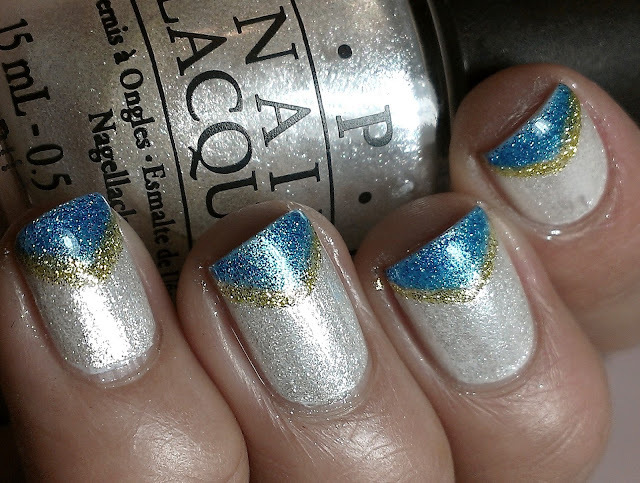 but your nails look Egyptian ..ahaha i love them! pa que te las quitaste! huevona ! buahahaha . Happy Anniversary was like the 4th or 5th polish i got ..hahah TWINS! OO Very pretty! I love all the shimmer! Another good one!! Love your seems-like-casual design, very pretty! Great polish! My first OPI was actually a set of two-- All the Berry Best and Thrills in Beverly Hills that my mom picked up for me. And so re-ignited my nail polish obsession! This is gorgeous! I don't remember which OPI I got first. Considering the fact that I just bought like 5 at once to start off. Hahaha. Love the blue with it - the shimmer is insane!